Solution for Calculator The Game Level 86 87 88 89 90 Walkthrough – solve the puzzle number and find the goal with number of moves you can make ! press buttons so the total equals the goal and win ! Welcome to Calculator: The Game where you’ll manipulate numbers by adding them, subtracting them, converting them, reversing them, and stuffing them through portals … yes … PORTALS. 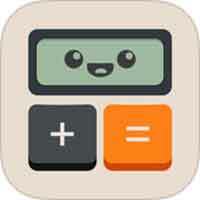 This entry was posted in calculator the game on July 18, 2017 by 100doorssolution.